FINAL DAYS of our Kickstarter! I cannot tell you how very excited I am that our Kickstarter campaign has been a success! We made enough to print our book! I made a stretch goal in the hopes of printing our little animal storybook, and we made THAT goal as well! Woohoo! Everyone seemed to be completely confident we would make it except me, so I cannot TELL you how amazing this whole thing has been. I am jumping up and down in my head with excitement! So I’m gonna go wild and set ONE FINAL GOAL in the last few remaining days of our Kickstarter campaign. 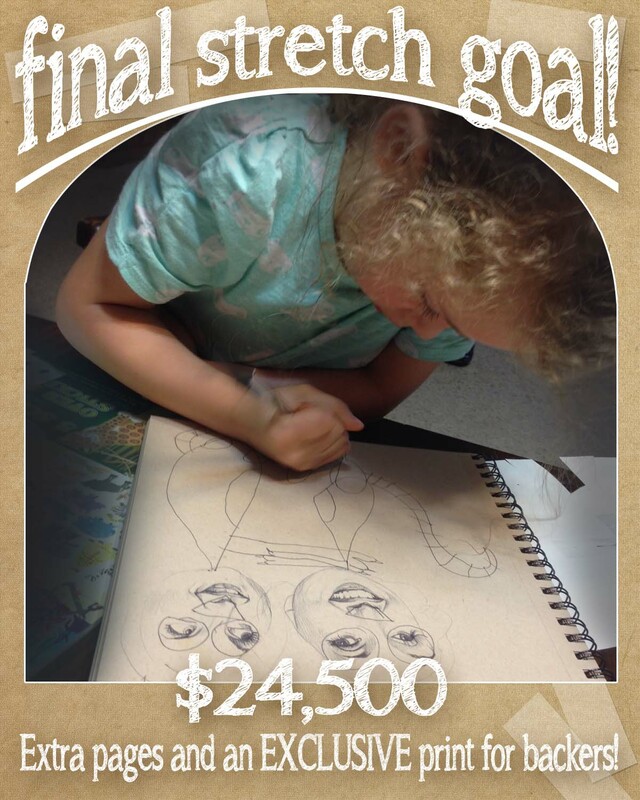 I want to see if we can make it to $24,500 to add more pages to our book! If we can make this goal, I will include an EXCLUSIVE PRINT available ONLY to Kickstarter backers who pledge $25 or more! This means if you already pledged and we make goal, you will get your reward AND the exclusive print! For those of you that follow us, you know Myla is a big giant part of the creative process, and she decided we should create two smiling lemurs hugging (I suggested teddy bears or dinosaurs, but she was insistent on lemurs–so yeah, lemurs are pretty awesome, too! ), as a “thank you” for all of your support. I’ll actually be working on painting it soon, in the hopes that we can make our goal. This print won’t ever be available on the Society6 print shop, but will ONLY be available to Kickstarter backers! So please spread the word, and let’s see if we can make this last stretch goal happen! Thank you so much! Congratulations — so happy for you! Reblogged this on San Diego Bankruptcy Attorney.